This bangle bracelet from Roberto Coin's Portofino collection is a piece of wrist candy that's wearable art! Crafted in 18K rose gold, two rows of white diamonds offer a dazzling display that will delight you. 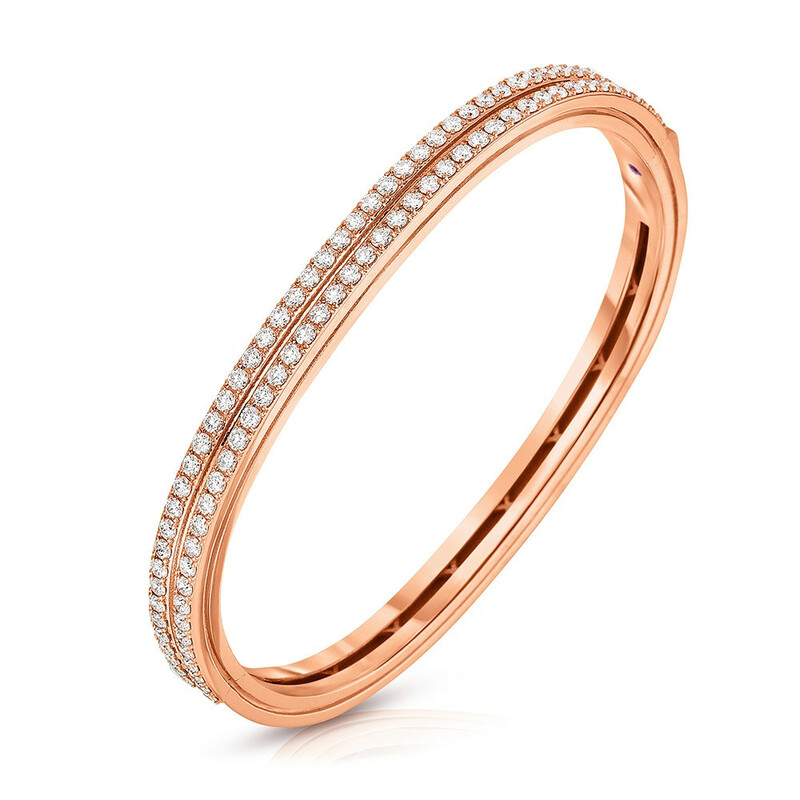 This Roberto Coin bangle bracelet is stylish and sophisticated..